Multi NSRA award winner including 3 Pros Pick honors, National Top 12 Pick, winner at Knoxville Nationals, and Top 25 at Shades of the Past! Outstanding all-steel body customization, superb paint, and Paul Atkins interior! Corvette LS1 drivetrain, 4-wheel disc brakes, power rack & pinion, air conditioning, power windows, and so much more! 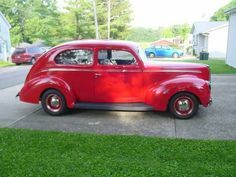 Ushering in the 1937 model year, Ford bought along with it some modern upgrades to their redesigned body styles. One major change was the integration of the headlights now recessed into the front fenders versus separate can-style lights in all previous designs. With power being a popular option, V8’s had become all the rage, so with it came better cooling from larger water pumps. Sedans were in high demand, and a Tudor “slantback” and alternate “trunkback” (also referred to as the “humpback”) were among the best sellers. Today, they have become the blank canvass of customizers across the world as one of the most elegant street rods on the road today. We found this particular one to be no exception, and certainly one of the finest we have ever had the privilege to offer to the public! 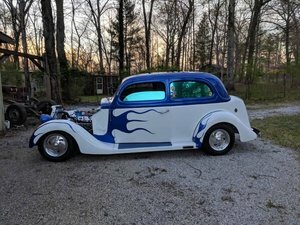 This multi-award winning 1937 Ford Tudor Humpback Sedan starts with a very interesting story that begins in Detroit, MI where is sold new and was driven just 17,000 miles before being parked in a basement garage in 1960, untouched from the elements and unbelievably preserved! 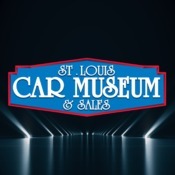 In 1990, it would come to the attention of 30 year GM metal fabricator, John Olay, and after he became the lucky owner, would begin a 10 year effort to transform this Ford into an amazing one-of-a-kind, all steel masterpiece! With over 20 body modifications so well executed, one almost needs to see a picture of a standard Ford to truly see the expertise and craftsmanship involved! We’d like to highlight a few beginning with the chopped roof line. Having lowered the forward roof, the newly desired rake allowed the normally vertical B-pillar to be tilted forward giving both the door & rear window a superb angle! This also allowed both doors to be slightly extended into the rear fenders. All traditional sharp edges of the door & trunk frames were exquisitely rounded and smoothed to better than factory fitment. A close examination of the body gaps would impress even the most critical of judges! Note how the steel running boards have been beautifully smoothed to perfection, door handles shaved and replaced with button poppers, discretely hidden at the rear window ledge, shaved hood ornament and trunk handle, the elimination of the hood side grills, and the custom fabricated rear taillights that will be found on no other Ford in existence! The original large scale bumpers were replaced with custom-fitted units sculpted to match the body lines. Each one would be tucked in tight with body filler panels color-matched to the body. Up front, you will have to look closely to note the LED turn signals have been hidden ever so nicely within the chrome itself. The body was expertly finished and professionally painted in 2003 Corvette Anniversary Red Metallic, with results any Chevrolet Corvette could only dream about! The original Ford X-frame chassis was fully reinforced with boxed front & rear frame rails, then upgraded with a power rack & pinion steering system and full independent front suspension, a Ford rear axle, 4-wheel polished Wilwood disc brake system, full ceramic-coated Flowmaster exhaust system, all stainless steel hard lines, braided stainless steel soft lines, all riding on polished American Racing 505 Torque Thrust II 2-piece wheels measuring 17” up front and 20” at the rear. One has to admire the textbook streetrod stance in conjunction to how the wheels and fender openings look like they were married by design. Under the hood lies a 2005 Corvette LS1 V8 and 4L60E 4-speed transmission for the ultimate of power, torque, ease of maintenance, and reliability! Its presence inside the engine compartment is fully color matched to the exterior only highlighting any polished & chrome hardware to deserving notice. Once inside the cabin, you will be astonished by an elegant Light Tan leather interior executed by expert Paul Atkins featuring four unique bucket seats, armrests, billet & carbon fiber steering wheel, tilt column, overhead console with Pioneer audio equipment & rope lighting, under dash LED lighting, power windows, courtesy floor lighting; along with hidden door release handles, ignition switch, air conditioning controls, and exterior light switch for a crisp, simple overall appearance. Although, the more you look at the execution, the more you realize its craftsmanship is as complex as one could ever imagine! This carries fully into the trunk compartment with its own hidden power entry, and gas filler door discretely covered within the floor. This Ford was named “Hidden Treasure” and we find both its history and custom execution perfectly symbolic today! It was completed in approximately 2006 and traveled to multiple National Street Rod Association events, and was awarded Pro’s Pick in Indianapolis, Nashville, and Columbus, winning top honors at NSRA Nationals South in Knoxville, TN. It found Top 25 honors at the Rod Roundup in Pigeon Forge, TN during Shades of the Past, and most notably Top 12 Pick at the NSRA Nationals in Louisville, KY while among its best peers where some 10,000+ customs find attendance each year! Truly an amazing opportunity no doubt, and a vehicle that could not be duplicated today for anything less than thousands of man hours and buckets of cash waiting to pour into the process. For you street rod collectors, this is not an opportunity to forego with hesitation. Someone luckier than you will pull the trigger only leaving to your disappointment if you don’t act quickly enough!